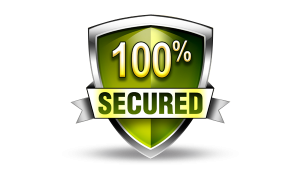 We realize that your success and our future, depends on our ability to provide fool proof security cover, which we assure to our clients. You will be pleased to know that ours is one of the best SECURITY, SAFETY, DETECTIVE & ALLIED service organization in Delhi, National Capital Region, NOIDA, Gurgaon. Our staff is attached with Embassy of the State of Kuwait, MNC’s like Aircel Ltd., (Delhi & Haryana Circle), NilLabs India Pvt.Ltd, Global Innovsource Solutions Pvt. Ltd., and. India Trade Promotion Organization (ITPO). We function on impregnate security environment to ensure safety of your organization, materials, equipment, vehicles and building. We work round the clock on all seven days of the week with Retd. & experienced Defense/Police / Para Military Officers, young & dynamic Field Officers. We see with vigilant eyes and comprehend the dire needs of different organizations and monitor and regulate the security & other needs of the clients. We break new grounds and create inroads in to the economic growth and development of the various firms. We keep abreast with the rapidly changing scenario of the issues regarding safety etc. as mentioned above and bring about changes with regard to effective security arrangements. Our aim is also to provide distinguished security professionals with experience, knowledge and professional achievements and we provide specialized training course to our security personnel’s & other staff in order to perform their duties for the safeguard of the interest of the clients. It is our endeavor to avert loss and provide security and safety of industries. We are providing securities and allied services to academic institutions, financial institutions, I.T., Telecom sector and govt. etc.